Today's post highlights best/worst Out-of-Home ads for two of the four Data-Driven Keys featured in our new eBook: Awareness and Messaging. OOH advertising is very powerful and under-appreciated. This is the second of three posts focusing on the best and worst of thousands of consumer-panel evaluated OOH ads. For insights on other media types, see our resources page - Integrated Media in All Media Types. Continuing our discussion of what works and what doesn't in Out-of-Home advertising, let's focus on two of the four data-driven keys - Awareness and Messaging. Next installment will discuss the other two: Reputation and Calls-to-Action. As a quick reminder, OOH advertising with great creative can deliver on Purchase Intent better than any other media type. 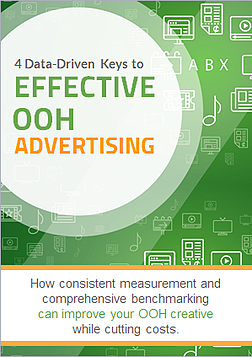 We know this from an analysis of a sample of 25,000 ads across all media types, and you can see the full story in our new, free eBook, "Four Data-Driven Keys to Effective OOH Advertising," designed by InspiriaMedia. Last month, we looked at the Overall Best and Worst OOH ads as rated by consumer panels. Today, we'll look at the Best and Worst examples of Awareness and Messaging. The take-aways are clear and should provide you with plenty of food for thought! Quick reminder: an ABX Index of 100 = "Average Effectiveness." A score above this would multiply an advertisers investment, and a score below would indicate wasted funds. Have you generated sufficient attention and memorability to enable the viewer to know which brand is being advertised? Have you ever heard someone describe an ad they love, but they can’t recall the name of the advertiser? Unfortunately this happens all too often. The best ads make prominent use of the brand name and incorporate the brand into the story line. 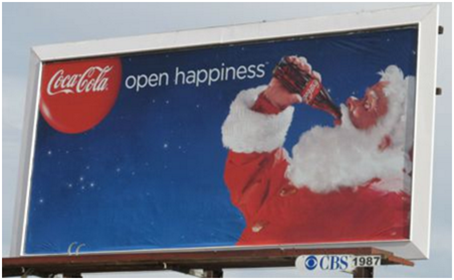 Here's a great example from Coca-Cola. This simple board placed #1 in Awareness for all OOH ads tested by ABX. You can’t miss who the ad is for (+21%); the message is clear; and both Reputation (+44%) and Action (+40%) are strong results. Everything is consistent with the brand. 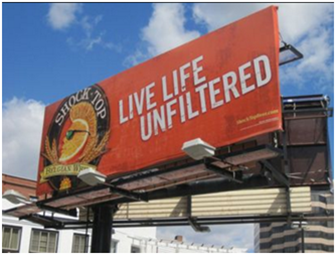 No doubt Shock-Top customers would know what this ad is about, but potential new customers would not. At an ABX Index of 42, and super low Awareness (45) and Message (43) scores (not to mention Reputation at 0), this ad needs help. If you have to work at reading the advertiser’s name, artistic rendering or message, you aren't likely to purchase. Is there a clear benefit being described in the ad, and has it been stated in an easy-to-understand fashion? The best ads don’t just state the benefit, but show how the user is being impacted by this benefit. If there is a clear benefit, but it is not described in an easily understood way, a disconnect can occur, especially if your target is driving in the car. 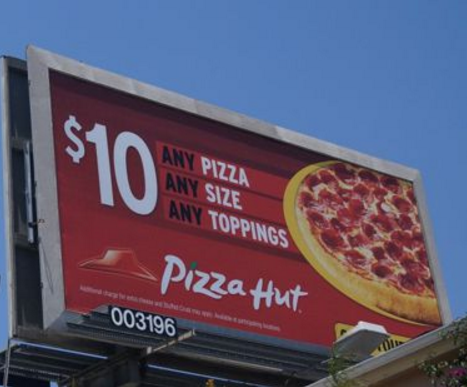 Pizza Hut shows us exactly how to create effective messaging. The benefit statement is clear in this Pizza Hut board with a +36% Message score. Strong food photography always helps, but so does the implied message that Pizza Hut revolves around whatever the customer wants. Consumer panelists rewarded this board with a +54% higher Reputation score than normal, and subsequent +32% Action score. Nothing complicated here; just a clear message that resounds. Here’s another “simple” message that’s a little too simple with a Message score -72% below norm. Clearly, no one knows what “it” is, though some recognized “Discover.” We’ve got to be careful not to assume too much of our audiences when we create our campaigns. They really don’t give us much thought. There are more examples of good/bad OOH ads in the eBook, which you can obtain below. Or, join us for the final installment as we see more high- and low-scoring OOH advertising in Reputation and Action. Would you just like to chat? Sign-up here and we'll give you a call.